Attorney Rodney Mesriani, founder of the Mesriani Law Group, successfully obtained full back wages for Villacorta for wrongful termination despite the latter's gainful employment during the course of the trial. Leading Los Angeles labor lawyer Rodney Mesriani, Esq., together with the Mesriani Law Group and it’s trial and appellate lawyers, in their aspiration to always provide top notch legal service to all labor and employment victims brought about by workplace discrimination, wrongful termination, sexual harassment, retaliation, and violation of whistle blowing laws, among others, have paved the way to cementing the answer to one of the long standing question in employment and labor law cases on whether to grant full back wages to a plaintiff who, while the case is ongoing, was able to obtain subsequent employment. On 11 December 2013, in the case of Villacorta vs. Cemex Cement, Inc. (E054329, Super. Ct. No. CIVVS807250, 2013), Mr. Mesriani, through an affirmed decision on appeal from the Superior Court of San Bernardino County, has finally established that a jury can award a Plaintiff the full amount of wages he had lost from his employer, after he had been wrongfully discharged, with no offset for wages he earned from subsequent employment during that same time period on the ground that the subsequent employment was inferior and not the same. Villacorta vs. Cemex Cement, Inc. stems from Villacorta's filing of employment case against Cemex Cement, Inc. for (1) Wrongful termination; (2) Intentional Infliction of emotional distress; and (3) National Origin Discrimination. Essentially, the facts showed that Villacorta was terminated by Cemex in 2008 and months later, he was able to find employment with National Cement, which was located far from his residence and which then forced Villacorta to rent and be away from his family for at least 5 days a week. Based upon the foregoing evidence, the jury concluded that Villacorta's job at National was inferior to the job at Cemex because of the burden placed on Villacorta by the location of the job. The burden included not seeing his family during workdays and having to pay for a second residence. Since the jury reasonably conclude the National job was inferior, it was reasonable for the jury to not use Villacorta’s National wages to mitigate the Cemex losses. Thus the award of full back wages. Mr. Mesriani, in comparing the past rulings on mitigation of damages with the new celebrated rule created by his winning of the Villacorta case, stated that "Before, a Plaintiff's award of back wages is mitigated by subsequent gainful employment, meaning that the compensation for which, is deducted from the award of back wages unless there's proof that the subsequent job was inferior. However, what constitutes as inferior work is hard to establish. Now, with the new ruling on Villacorta case, a Plaintiff is able to obtain his just full wages against the erring employer so long as there is a finding that the subsequent job is very far from his prior employment and which will entail additional burden of being away from his family, regardless of the actual monetary income obtained from the subsequent employment." Mr. Mesriani, stresses that, "It is Mesriani Law Group's strong position that the employees are the lifeblood of our nation's economy and awards of back wages and other benefits should always be given in full if there's reasonable basis to do so, in order to protect their rights against unscrupulous and brutish commercialism of some employers who are unmindful of the work force's employment and labor rights and look instead to personal gains instead of their workers' and their families' well beings". About Mesriani Law Group, P.C. 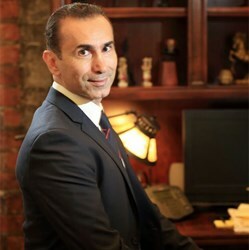 Mesriani Law Group is a Los Angeles, California based employment and labor law firm founded by Rodney Mesriani, Esq., with decades of combined experience in helping wrongfully terminated and employment discrimination victims, as well as victims of labor law violations obtain the highest compensation they deserve. The law firm's best Los Angeles employment trial lawyers, based in 5732 Melrose Ave., Suite 250, Los Angeles, CA 90038, specialize in handling all types of wrongful termination cases; violation of retaliation laws; violation of whistle blowing laws; and employment discrimination, to include racial discrimination, gender discrimination, disability discrimination, religious discrimination, pregnancy discrimination, national origin discrimination and workers compensation discrimination, as well as labor law violations to include: violations of the minimum wage, overtime, and meal and rest break laws. To learn more about the firm, call 1.866.998.2545 for a free case evaluation or email them or take advantage of their free on-line case submission.